Hong Kong Planning and Infrastructure Exhibition Gallery is a museum about infrastructure of Hong Kong located at Edinburgh Place in Central Hong Kong in Hong Kong. 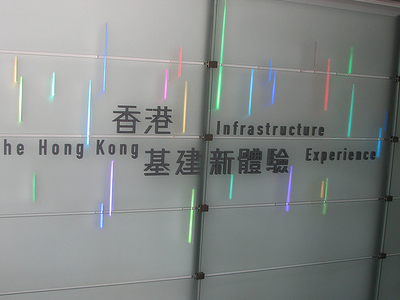 The Hong Kong Planning and Infrastructure Exhibition Gallery, located on ground floor of the City Hall Annex, was set up in 2002 as a temporary exhibition gallery, pending the establishment of a full-fledged permanent exhibition gallery which will occupy the entire City Hall Annex Building. The expansion works are in progress and the permanent Gallery will be open in 2012. To make way for the refurbishment and expansion works at the City Hall Annex, the temporary Gallery has been relocated to the ground floor of the Murray Road Multi-storey car park Building in mid-2009 to maintain continuous services to the public. 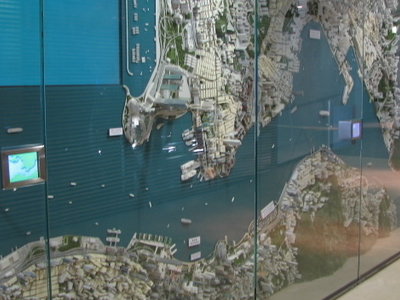 The temporary Gallery showcases the planning proposals and infrastructure projects by the Government of the Hong Kong Special Administrative Region to enhance the quality of life and strengthen Hong Kong's status as Asia's World city. Here's the our members favorite photos of "Museums in Hong Kong St. John's Cathedral". 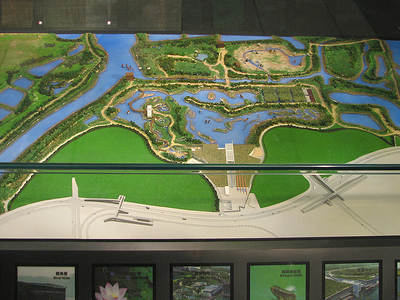 Upload your photo of Planning And Infrastructure Exhibition Gallery!